Did you know that I have several online stores where you can buy my designs on all sorts of products? Keep reading to find out more. All of the stores are having Black Friday sales, many of which are not limited to just Nov. 23, so go ahead and shop! Zazzle has the biggest variety of different products. Visit my store to see some of them. They have t-shirts and mugs and tote bags but they also have cards and envelopes and stickers and guitar bags and bath mats and basketballs and snow globes and welcome mats and dog beds (and dog bowls). If you want a specific item and you don’t see it, put a comment below and let me know. This is my best selling design. It comes on T-shirts of all colors, styles and sizes (there’s a darker version for light-colored shirts), and also on mugs and water bottles and stickers. Click on the t-shirt picture to see the dark shirt, or click here to see all of them. 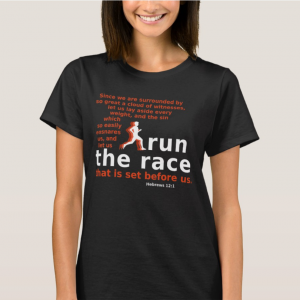 As with all of my designs, if you want to see it on one of the other items Zazzle has, let me know in the comments below. Often items require a different size image so it takes time to get my designs on everything, but if I get a request I will do it if I can. This is another design I really like. Click on the picture to go there. You can get it with the handle and inside in a variety of different colors, but I think the yellow looks best. 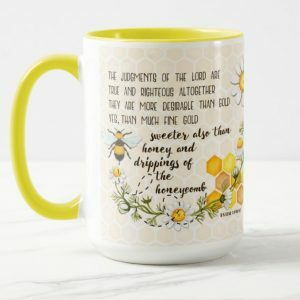 I love Bible verses that talk about the Bible, and I love bees, so this one is definitely a winner. I also have this design on many products in my Society6 shop. One word of advice: if you buy the clock, make sure you choose dark colored hands. I got it with white hands and it’s a beautiful clock but it’s very hard to read the time. I told you Zazzle has lots of products. 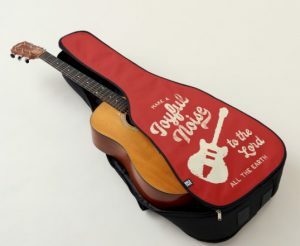 One of the more unique ones is this custom guitar case. It comes in several colors (the back is always black). I has a thick padded interior and wide padded backpack straps so you can wear it on your back, but it also has a handle so you can carry it at your size. There are two back pockets you can use to store music or other items. It fits most standard size acoustic guitars. I put this design on some other items, including t-shirts and tote bags and smaller items like magnets and key chains. Check out all of them here. You can customize them with any darker color if you don’t like the color of the background. This one is a faux wrapped canvas. They make real wrapped canvas, also (which are much pricier). The faux ones are really foam core board and you put them together. They are very lightweight and easy to hang. Click on the image to buy this. This image is on other products, too. Click here to visit the collection. I love this translation of Ephesians 2:10. 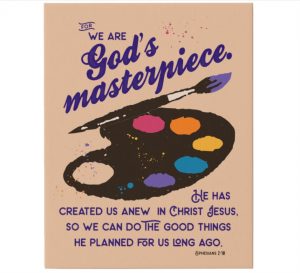 God is the ultimate master artist, so if He created you, you must be a masterpiece. What a great thing to remember. 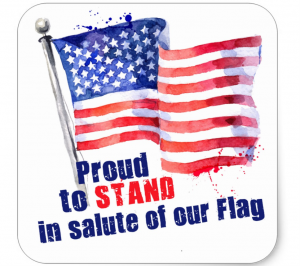 This design is for the patriotic among us. This one is a sticker. There are also t-shirts and bumper stickers and some other items. I also have stores at Society6 and RedBubble. Visit those stores for even more designs and products.